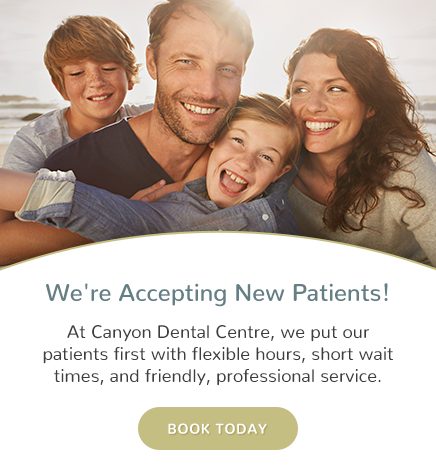 Dr. van As is pleased to offer microscope technology at his Canyon Dental Centre office. Dr. van As is acknowledged as a pioneer in magnification as he was one of the first general dentists in Canada to start doing all of his general dentistry through the operating microscope in 1997. Now he has nine microscopes in the office, one in each room. The precision of treatment in a minimally invasive fashion because they are able to magnify at 2-20 times what the naked eye sees. They allow dentists to document your treatment in video and still format which can help with insurance purposes and for future reference. The live video feed to the TV monitors shows you in real time the issues you are having to allow us to co-diagnose together your case. In addition, many patients like to “watch” Dr. Glenn at work, and you have this choice if you wish to watch the fillings being done. Some patients will even watch root canals or extractions being done! The live video helps us communicate better with you, as a picture is worth a thousand words so much is a magnified live video of your teeth worth? Finally, many dentists retire early because of severe back and neck pain which is an occupational hazard of being a dentist. The microscope allows Dr. Glenn to sit in an upright fashion which reduces the back and neck pain that is associated with our profession with good health. This technology will keep Dr. Glenn working at Canyon Dental Centre for many years more! I love all aspects of dentistry, but I am particularly interested in aesthetics, and helping my patients gain confidence with a beautiful smile. I highly value patient-dentist communication because I know how much it helps my patients make informed decisions about their oral health.